The JSKA (JAPAN SHOTOKAN KARATE ASSOCIATION) was founded on the 10th February 1999 by Sensei ABE Keigo . It was one of the fastest growing Shotokan associations in the world. When he was a student at Nippon University in Tokyo, in 1958, Abe Sensei started to train at the Headquarters of the Japan Karate Association (JKA) where he met a young and powerful Sensei, NAKAYAMA Masatoshi, who was to become his grand master. 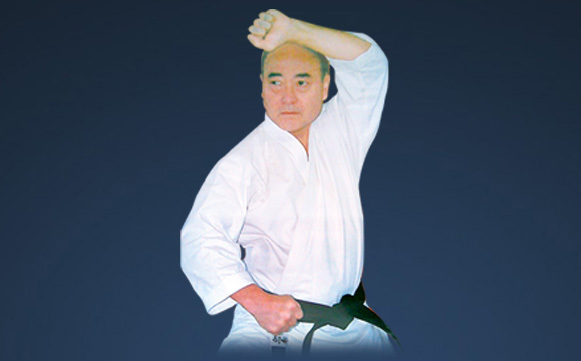 ABE KeigoSensei, founded the JAPAN SHOTOKAN KARATE ASSOCIATION the 10th February 1999. Abe Sensei holds 9th Dan in the Japan Shotokan Karate Association and is the JSKA Chief Instructor. It is one of the fastest growing Shotokan associations in the world. Abe Keigo Sensei was born in October 1938 in the town of Iyoshi in Ehime Prefecture on Shikoku Island in East Japan. Abe Sensei started Karate and Judo training when he was 15 years old. Sensei PK.GOPALAKRISHNAN, All India Chief Instructor (JSKA INDIA) was born in Sreekrishnapuram, Palakkad Dt. Kerala. He is the elder son of Late Mr. Krishnan Kutty and Mrs.Janaki. Though financial situation remained as a hindrance for his Academic fortune, yet he took it as a challenge and never failed to attain his goal towards Martial Arts Fortune. Since his inception in mother’s womb, he had a great interest in Martial arts – YES his untiring efforts and vigorous results remain as vital proof for same. During 1978, He started practicing Karate under Sensei K.F Alfred (sensei Prem Kumar was his Chief instructor and Bonnie Robert, Sri Lanka was Chief examiner) and once he got got Black Belt (Sho Dan) by 1984, started teaching Karate.